Let me let you in on a little secret—this is probably one of the easiest things I ever made. No, seriously. When I decided to make this, I anticipated spending tons of time in the kitchen however, before I started making it, my daughter woke up early from her nap, I had about 50 emails to which to respond, a bunch of phone calls to make, and a load of laundry to fold. I started stressing, and contemplated making it another day. My mother-in-law, who is visiting from out of town, ended up taking my daughter out to the park so I knew it was time to get cooking. Literally, within 10 minutes the chicken was baking in the oven. 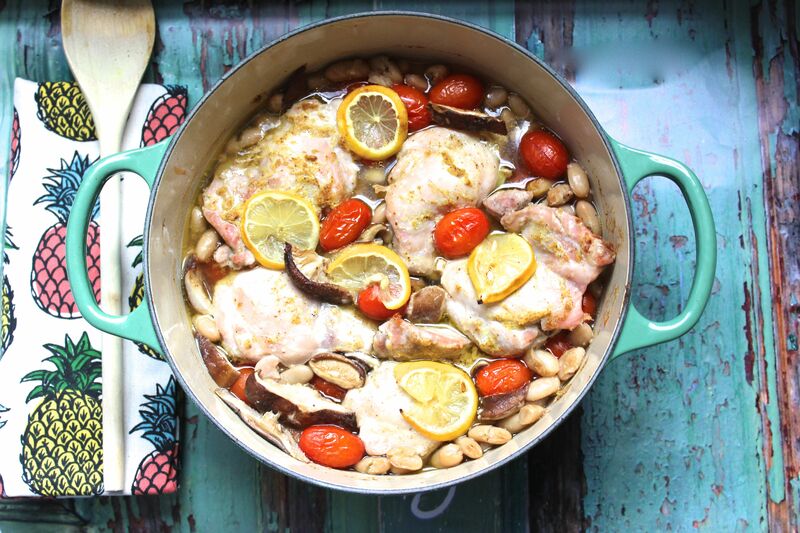 What I also did not realize was how amazingly delicious this one-pot wonder would come out!! 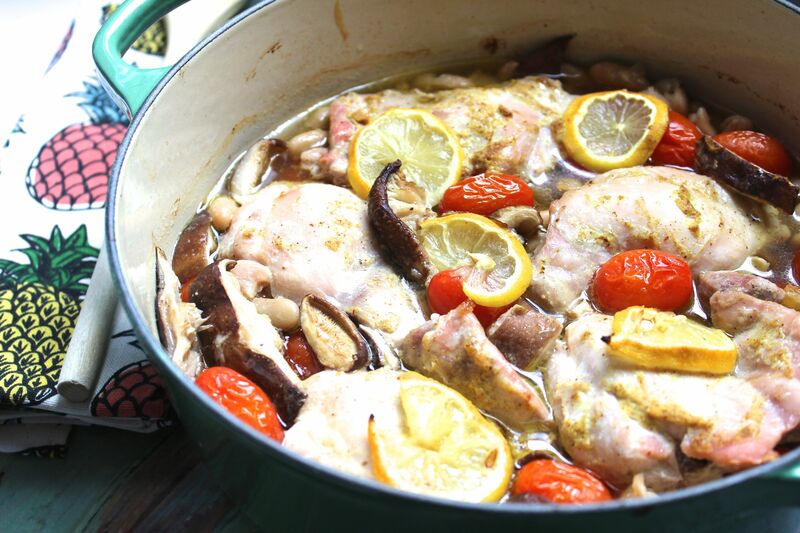 The chicken stock with the sliced lemon creates a perfect light and flavorful broth. The vegetables are a perfect side dish to accompany the chicken. Oh, and since it all cooks in the same pot—easy cleanup! So, long story short: MAKE IT! You will definitely not be disappointed. Slice lemon and set aside. 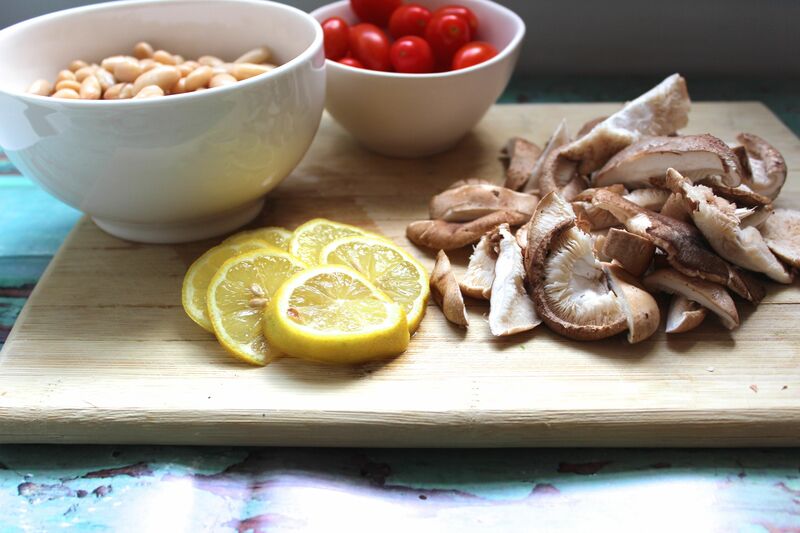 Chop mushrooms roughly. 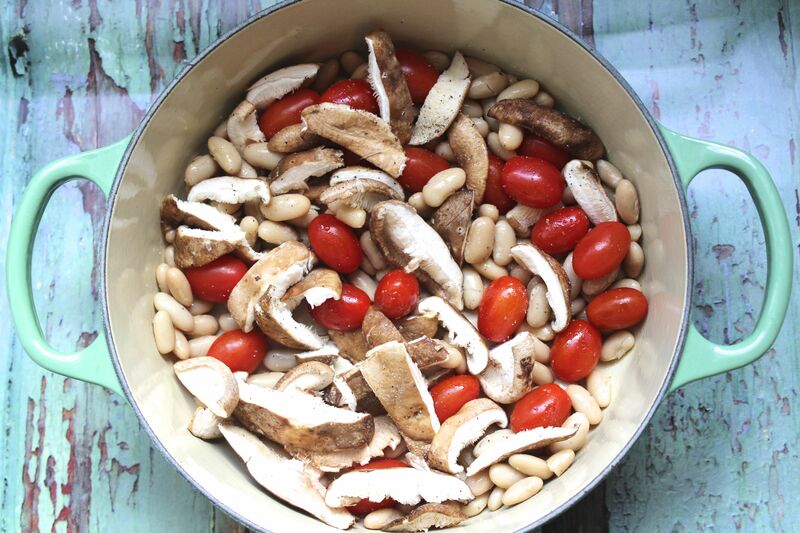 In a pot, pour 1 tablespoon of olive oil and toss with mushrooms, tomatoes, and white beans, 1 teaspoon salt, and ½ teaspoon pepper. Spread mustard on one side of chicken thighs and remaining salt and pepper. Nestle the chicken (mustard side up) in the pot. 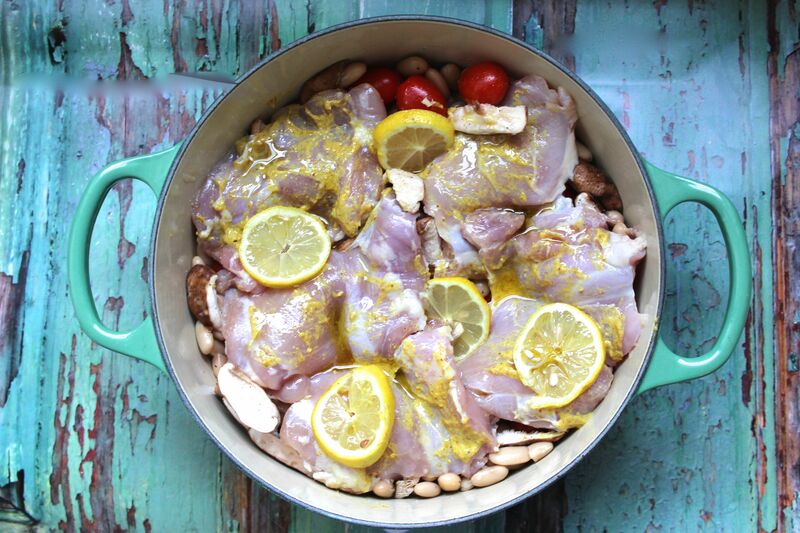 Arrange lemon slices on and around the chicken. Drizzle dish with remaining 1 tablespoon of olive oil. Roast chicken in oven for about 35 minutes, stirring and shaking dish halfway through.